We are delighted to announce our partnership with The Black Prince Trust (BPT) on Training and Development at the Black Prince Community Hub in Lambeth. 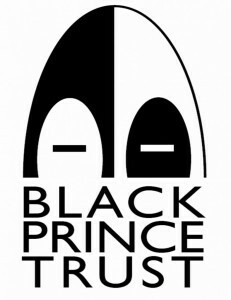 The Black Prince Trust is a not-for-profit charity whose primary purpose is to manage and develop the Black Prince Community Hub in Lambeth, South London. The Hub is an inclusive, inter-generational community centre focussed on creating opportunities in sport, education and employment for the local population. The Trust’s ethos is to inspire participation, learning and development in a safe and non-discriminatory environment. With the help of partner organisations, the Trust delivers a wide range of sessions and programmes for the community – many of which are free at the point of use. The charity’s vision is to be a partnership hub that continues to work with great partners and where young people and our participants develop aspects of their lives and use the hub as a platform to walk out into the world with confidence. In 2016, The Black Prince Trust created a dedicated training and development area at the Hub called ‘The Space’ to reflect the concept of a safe place for people to go to learn away from the sometimes stressful environments of home, work and school. The Space can be used for multiple purposes including group sessions, classroom style sessions, interactive classes and one on one sessions with the added benefit of the proximity of sports facilities which many of BPTs sport for development partners combine with training and development sessions. We are delighted to extend the use of this facility in South London to other charities and community platforms to foster wider community relations and use of the Hub.